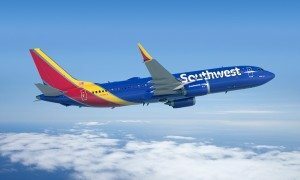 Southwest Airlines announced today that it has filed an application with the U.S. Department of Transportation to add its first destination in Central America. The airline plans to operate a daily roundtrip service between Baltimore/Washington Thurgood Marshall International Airport (BWI) and Juan Santamaria International Airport (SJO) in San Jose, Costa Rica, beginning March 7, 2015. Costa Rica will be the sixth near-international country served by Southwest Airlines from its U.S. gateway cities and the first new destination in the carrier’s network after the integration of wholly owned subsidiary AirTran Airways is completed by the end of this year. Service to Punta Cana, Dominican Republic, and Mexico City begins Nov. 2, as Southwest converts existing AirTran service in those destinations. 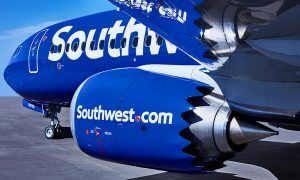 Southwest began service this summer to Aruba, The Bahamas, Jamaica, and both Cancun and San Jose del Cabo/Los Cabos, Mexico. Tickets to San Jose, Costa Rica, will be available for sale as soon as the necessary Department of Transportation approvals are secured. Southwest Airlines began service from Baltimore/Washington in September 1993, with ten flights offering scheduled service through nonstop destinations Chicago (Midway) and Cleveland. Southwest, 21 years later, is the largest carrier at BWI in terms of daily departure and, by March 2015, will fly nonstop to 60 cities with more than 200 departures a day. In October 2006, Southwest began serving Washington Dulles International Airport (IAD) and added service to Ronald Reagan Washington National Airport (DCA) in July 2012. 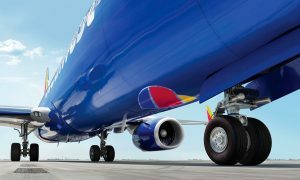 By November, Southwest Airlines will be the second largest carrier at DCA in terms of seats, offering 44 flights a day to 14 destinations: Akron-Canton, Atlanta, Austin, Chicago (Midway), Dallas (Love Field), Ft. Myers/Naples, Houston, Indianapolis, Kansas City, Milwaukee, Nashville, New Orleans, St. Louis, and Tampa.